At Chironow Loveland, we are a proud certified retailer of Present Naturals products, which are CBD products 100 percent free of THC. Present Naturals is a nationally known brand that provides safe, alternative healing methods for its consumers, and we believe their message aligns with the values of our chiropractic office: You can keep things natural and still see results. 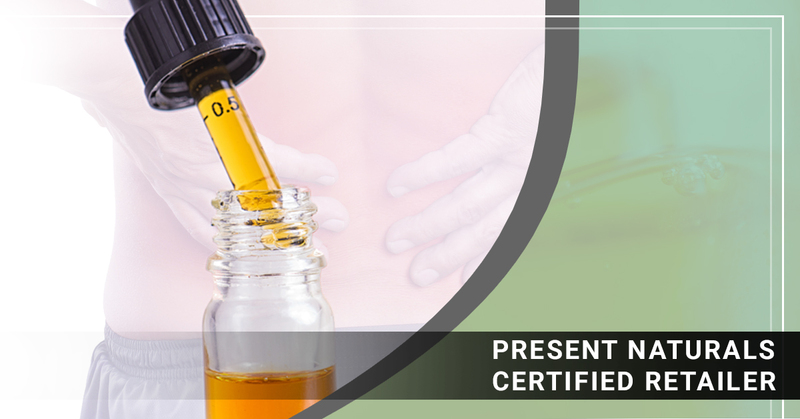 Are you interested in learning more about these natural products and how they could provide relief for your neck pain, back pain, sciatica pain, and more? Reach out to our team at Chironow Loveland today and ask about our Present Naturals products! You can also learn more about the services our chiropractors in Loveland provide here. If you combine using these products with regular chiropractic care from our chiropractor in Loveland, you could see drastic and effective results. For any questions you might have or to learn more about our Present Naturals products, contact Chironow Loveland today.